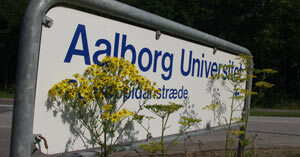 Center for Industrial Production (CIP) is based in the middle of the beautiful campus area at Aalborg University and is serving as a national center of industrial manufacturing. CIP are dedicated to initiate and coordinate research in this area and to develop the necessary competencies and capabilities to increase the future competitive strength of Danish industry. The research staff are furthermore involved in teaching and supervising undergraduate and graduate students in various engineering degree programmes. At Center for Industrial Production the majority of the research staff is also involved in teaching and supervising undergraduate and graduate students in various Engineering degree programmes. This ensures the latest research beeing part of the uducational programs at CIP. Read about the organisation, location, contact information, and more about Centre for Industrial Production. Balancing the relationship between theory and practical application has long been a challange in research. In striving to meet this challange a research model has been developed which serves as the fundation for all research work at CIP. The title of the Ph.d-dissertation is ”Capturing the business model narrative - Designing business models with narratives”. The ambition of conducting research based on reality is made possible through Center for Industrial Production's network projects and industrial partnerships.